At Secret Source we get to work with some iconic brands and companies. One recent client was the quintessentially British wallpaper maker Cole & Son. They wanted a microsite to promote the new collection of prints from designer Martyn Bullard and came to us with a brief that called for an interactive site, with plenty of movement and sophisticated visual effects that would work equally well on both desktop and mobile displays. 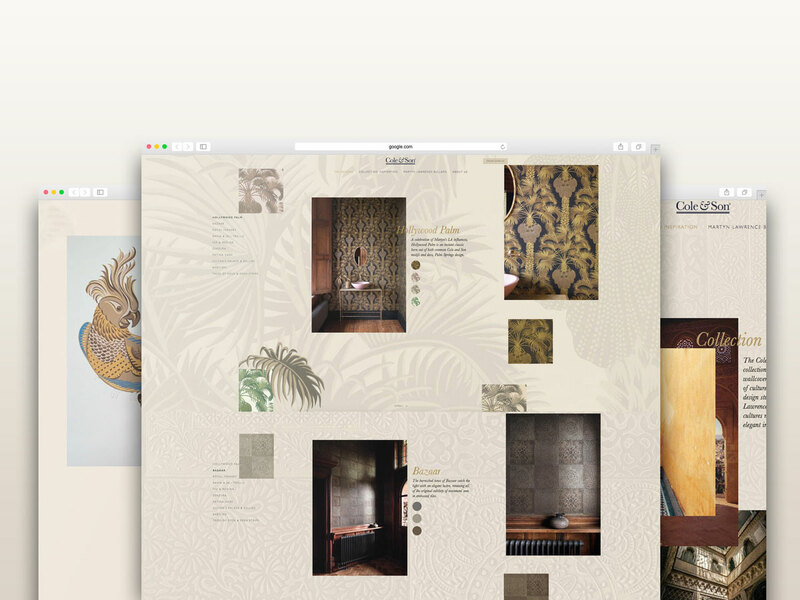 Working closely with the Cole & Son design team, Secret Source developers did a fantastic job of combining the company’s rich heritage with Bullard’s opulent designs, to create a stylish and contemporary online brochure. The site was built in React by members of our amazing React and React Native team.